Consumer products designed for personal use (home, work, leisure, health, sports, etc.). 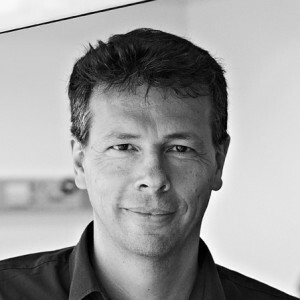 Since September 2009, Prof. Oliver Grabes has been the Head of Braun Design and is spearheading Braun’s new design approach: “the strength of pure.” His approach is to translate heritage into the future; taking Braun’s values and world famous design heritage and combining it with modern technologies. His approach creates coherent products that are easy to use, well designed and useful. High quality is paramount to ensure a long-lasting product that creates a positive product experience over years. In addition to being Head of Braun Design, he was the chairman of the jury for BraunPrize 2012. The awards were themed ‘Genius design for a better everyday’, to encompass the Braun brand philosophy–embracing the high relevance of well-designed products for everyday life. Christine Hielscher graduated in 2006 from the Offenbach Academy of Arts and Design in Germany, with a diploma of Product Design. Early in her career, she had the opportunity to work in international design agencies like IDEO and designaffairs, building up experience in consumer electronics and user centric design development. Six years ago Christine joined the Braun Design team. With a strong focus on hair care appliances, her design work has mainly centered on Braun styling products. Working under P&G, she has also had the chance to work for brands like Oral B, Gillette Venus and Fekkai. Rory McGarry’s passion for user focused industrial design began in 1999 with his enrollment in the ID program at the Ontario College of Art and Design University, Toronto, Canada. As a result of his studies, Rory’s OCAD U thesis project, placed among the best entries for the BraunPrize in 2003 and consequently he joined the Braun Design team in January 2004. Working at Braun Design has given Rory a unique opportunity to carry out product design for diverse categories within Braun, as well as many outstanding brands within Proctor & Gamble, with mass market products available today or planned to be launched for Braun, Olay, Oral-B, Gillette Venus and others. Professor Andeas Kalweit studied engineering and industrial design at FH Niederrhein and University GH Essen. He finished with a diploma in engineering, graduating with honors. In parallel to his studies, he worked as freelance engineer and designer, concentrating on product planning and development. His multiple qualifications helped to mediate between construction, design and manufacturing, in practice and during his multiannual teaching in the field of technique in material, manufacturing and construction. As partner and cofounder of UNITEDDESIGNWORKERS, he has been successfully working in industrial and corporate design for renowned companies since 1998. In September 2012 he was appointed as professor Manufacturing & Material at Bergischen Universitäy Wuppertal. Jan Seyberth is Designer and Innovation Strategist with 15 years experience in turning insights into successful design solutions. He has connected companies like Audi, Nestle, Merck and Bayer successfully with their customers by using human-centered design as strategic tool. After studying as Fulbright scholar at the Institute of Design in Chicago, he practiced the design thinking process at IDEO on various healthcare, consumer electronics and FMCG projects in US and Europe. He applied his holistic approach also as teacher and as innovation consultant on programs envisioning the future of urban mobility or the future of displays. Currently, he is developing a product portfolio of user-friendly service touch points at Deutsche Telekom. He is driven to use design as a tool for creating more sustainable products.